Welcome to another installment of our “Trail Town” series of articles. Every month we will feature an article about a trail running town that you should put on your bucket list of places to visit! This month we feature Liberty Lake, Washington, population 8,600. From white sandy beaches to the vibrant greenery of the natural trails, Liberty Lake has become the hub for recreation in Eastern Washington with 600 acres of park and 62 miles of multi-use trails. Liberty Lake’s main features include Liberty Lake Regional Park and the Saltese Uplands, both offering breathtaking views of the greater Spokane area. Liberty Lake was incorporate in 2001 and spans 6 square miles. Liberty Lake sits twenty minutes east of downtown Spokane and eight minutes east of the Washington Idaho State Line. With four distinct seasons, Liberty Lake is home to year round recreational opportunities and amenities. Take in the beauty of Liberty Lake by hiking through the Liberty Lake Regional Park, a 3,591-acre conservation area home to the Liberty Lake Loop. The Liberty Lake Loop is an 8.5-mile hiking trail that features Liberty Lake, active wildlife, stunning views, and a gushing waterfall. As an intermediate/difficult level hike, this trail is not for the faint hearted with steep climbs and switchbacks leading through the park. Attached to the Liberty Lake Loop there is also a smaller loop of four miles, labeled Split Creek Trail. Going through a trail rebuild in 2015, Split Creek Trail offers hikers and runners a moderate path to accommodate everyone. Both the Liberty Lake Loop and the Split Creek Trail have a $2 annual fee during the summer months. Six miles west of Liberty Lake Regional Park, you will find the Saltese Uplands Conservation Area. The 552-acre conservation area offers over seven miles of multi-use trails with countless opportunities to see wildlife and capture some of the best views Spokane and Liberty Lake have to offer. Mica Peak, a 911-acre conservation area has become the hidden gem of Liberty Lake. Officially becoming a part of Spokane County’s Conservation Futures Program opened an official trailhead in 2015 but without an official trail. This means hikers can plan on mountainous conditions and steep elevation gains. From the Belmont Trailhead, hikers can expect 10 miles of hiking to the summit of Mika Peak. Mica Peak is also accessible from Liberty Lake Regional Park. The Spokane River Centennial Trail spans 40 miles before connecting to the North Idaho Centennial Trail to add an additional 20 miles, connecting downtown Spokane to Coeur d’Alene. With 2.4 million visitors each year, this paved, multi-use trail is open year round and follows the contours of the Spokane River all the way to the banks of Lake Coeur d’Alene. Most of Liberty Lake’s trails are open year-round at the risk of the hiker. Weather conditions in the northwest can have an impact on the trail conditions. Parking at the Saltese Upland and Mica Peak trailheads is free and ample. Parking at the Liberty Lake Regional Park Trailhead comes at a $2 annual fee, and available parking is determined by the time of year. Liberty Lake’s tight-knit community and ample multi-use trails offers a unique experience that goes unmatched in other locations. 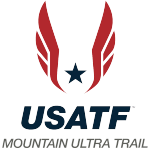 From several annual road race and running competitions to the several trail running, hiking, and mountain biking clubs, Liberty Lake offers a vibrant community centered on health and wellness. 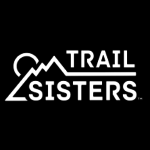 Trail Maniacs is the largest group of trail runners in the greater Spokane area with a goal of sharing their love for trail running, mountain biking, and hiking. 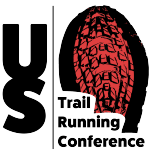 Trail Maniacs host several trail runs in the Spokane, Liberty Lake and Northern Idaho region. For the last 5 years, Trail Maniacs have hosted a Liberty Lake Trail Run through the Liberty Lake Loop. This trail run is one of their most difficult runs, but comes complete with a post-race party. Inland Northwest Hikers is the largest group of hikers in the inland northwest. With over 2,500 members, the club is dedicated to sharing their love and enthusiasm of hiking with everyone no matter the skill level. As one of the fastest growing communities in the State of Washington, Liberty Lake is known for being the hot spot for summer fun. With countless activities held within the park and at the lake, Liberty Lake sure knows how to draw a crowd! Within the six square mile city limit, Liberty Lake is home to three golf courses and a 706-acre lake that offers recreation of all kind. Whether you are looking to go fishing, to hike on the natural trails, or to just relax and enjoy some fresh air, Liberty Lake is for you! The Well Coffeehouse Pub and Eatery is the place to grab fuel before a day of adventure. Their menu includes healthy signature eats such as smoothie bowls and house made hummus. But don’t forget to grab something off their drink menu as they offer everything from coffee to kombucha! Head west 10 miles from Liberty Lake into Millwood and stop by Rocket Bakery. Open since 1992 and nine locations in the Spokane area, Rocket Bakery offers fresh baked goods made from scratch and a large specialty drink menu. Known for their warm atmosphere and locally crafted baked goods, Rocket Bakery is a must stop. As of late, Spokane has been blowing up with breweries and beer has become a staple of the region. With several local favorites, you are bound to find them on tap at pretty much every restaurant around town. Make sure and check out the Inland Northwest’s Ale Trail map to find some of the best local breweries and local craft beers. Steady Flow Growler House: With 42 taps and an endless list of appetizers this is a one-stop shop. The tap selection rotates with craft beers, root beer, cider, kombucha, wine and even cold brewed coffee. Badass Backyard Brewing: Women founded, owned and brewed, Badass Backyard Brewing offers 22 taps and their locally crafted beers are brewed weekly. If you can’t find a favorite style, let them know and they will brew you a batch. From local hole-in-the-walls to fine dining, there is certainly no shortage of dining options in Liberty Lake, offering something for everyone. In the mood for a relaxed hang out with locals? Make sure and stop by Barlows for a colossal size burger! Or head to True Legends Grill for the classic fish n’ chips. For fine dining check out Hay J’s Bistro for a farm to table experience that goes unmatched. Or head across the street to Corkhouse for a restaurant, coffee house, and wine bar- all in one! Locally owned and operated, Liberty Lake Juice has become the go to place for fresh-pressed juices, smoothies, Acai bowls and loose leaf teas. Priding themselves in using organic and locally sourced produce, Liberty Lake Juice has provided a positive and uplifting environment to Liberty Lake. Make sure and stop by for a fresh-pressed juice, smoothie and Acai bowl after your trail run! Liberty Lake’s trails are multi-use trails, meaning you will find many different activities happening year round. The trails are used during the winter for xc skiers and snowshoeing. When the weather starts to get warm hikers, runners and mountain bikers occupy the trail. Please be aware that these trails are located in nature conservatoires meaning there are countless opportunities to view wildlife. It is not uncommon for trail users to see deer, badgers, coyote and eagles. Photo by Dave Dutro, Trail Maniacs. Liberty Lake and the greater Spokane area is a sports centric town with countless competitions of all kinds happening year round. The Spokane River Run takes place each April in downtown Spokane. Also check out the annual Up Chuck Challenge in July. This 5k trail race starts at Camp Sekani Park on the Up Chuck Trail for a fun, winding, nearly all singletrack climb to the top of Beacon Hill. Valley Girl Triathlon: Held annually, Valley Girl pulls 400 women athletes of varying skill levels to Liberty Lake to compete in the sprint distance triathlon through the streets of Liberty Lake. Ironman Coeur d’Alene: Held 20 minutes east of Liberty Lake in Coeur d’Alene, Idaho the Ironman and Half Ironman are held annually and draws over 3,000 athletes and thousands of spectators to the banks of Lake Coeur d’Alene. Bloomsday: The Lilac Bloomsday Association’s annual road race is the largest 12k in the United States, regularly attracting over 50,000 participants to downtown Spokane.